The desert is no place for ocean-dwelling Kampii like Aluna and Hoku, especially now that Aluna has secretly started growing her tail. But the maniacal Karl Strand is out to conquer the Above World, and the horselike Equians are next on his list. 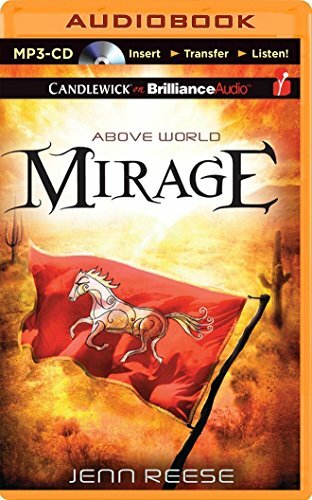 Aluna, Hoku, and their friends—winged Calli and Equian exile Dash—race to the desert city of Mirage, intent on warning the Equians and forming an alliance. Unfortunately, Strand’s clone Scorch has gotten there first. Now the Equian leader has vowed to take all his people to war as part of Strand’s army. Any herd that refuses to join him by the time of the desert-wide competition known as the Thunder Trials will be destroyed. To have any chance of defeating Scorch and convincing the Equians to switch sides, the four friends must find a way to win the Trials. The challenge seems impossible. But if they fail, the desert—and possibly all of the Above World—will be lost to Karl Strand forever.